This book is a unique blend of difference equations theory and its exciting applications to economics. 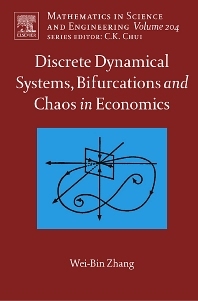 It deals with not only theory of linear (and linearized) difference equations, but also nonlinear dynamical systems which have been widely applied to economic analysis in recent years. It studies most important concepts and theorems in difference equations theory in a way that can be understood by anyone who has basic knowledge of calculus and linear algebra. It contains well-known applications and many recent developments in different fields of economics. The book also simulates many models to illustrate paths of economic dynamics.